Today could be your lucky day if 1) you’re on EE and 2) you live anywhere in Aldershot, Basildon, Basingstoke, Bracknell, Hitchin, Horsham, Leatherhead, Letchworth, Stevenage, Warrington or Weston-super-Mare. 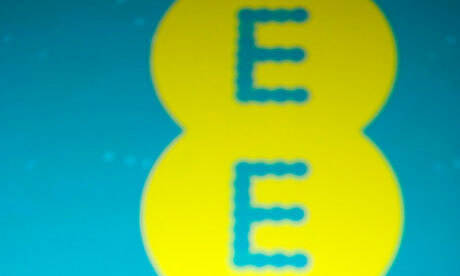 EE (Everything Everywhere) have now increased its growing 4G network. The current total number of towns in the UK, that can enjoy fast broadband connection by EE adds up to 85 as of the end of June 2013. As far as UK population’s percentage is concerned, this equates to 55% of people being reached by the 4G network. Although when you take England out of the equation that percentage figure falls sharply. Playing multiplayer, streaming movies, accessing social networks, watching TV, ordering food, online shopping – you name it, you do it in an instant. Today’s launch sees us continue to extend the reach of superfast 4G mobile to more consumers and businesses across the UK, from Warrington to Weston-super-Mare. With double-speed 4G launching this summer, as well as Shared 4GEE plans and Pay-As-You-Go 4G Mobile Broadband, we continue to innovate and enable the best possible digital experience for our customers. Furthermore, EE anticipates to achieve 70% coverage of the population by the end of 2013 and the overwhelming 98% by the end of 2014.